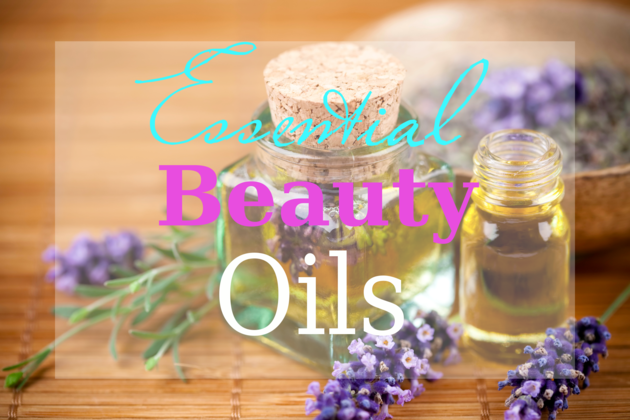 These are best skin brighteners to radiate your skin from within. Lighten your tan, limit your sun exposure and complement- healthy skincare regime with these potent brightening beauty potions. 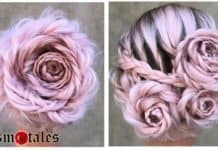 Include one of these, based on the ingredients and your skin type- and you will notice the visible lightening over a course of regular usage. Formulated with pure herbs, it’s a blessing to remove stubborn tan, lighten skin from within and add up glow to your skin. This Ayurvedic natural scrub smells exotic and is really effective & stand on it claim. Made with skin lightening herbs like- Narangi powder and Nagakesar, marigold and 18 more natural herbs its awesome remedy to flaunt a naturally radiant skin. If i have to rate a product for skin lightening, i would defiantly rank it at the top and so i did. read review here. SHOP FE SCRUB HERE ! 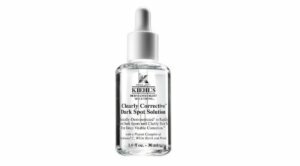 The Kiehls spot correcting serum works really fast to even out skin tone, diminish dark spots and any ailments. The paraben free serum is formulated with activated C – a potent antioxidant, that penetrated deeper within the skin layers to brighten up skin, rejuvenates and adds radiance. Coupled with the range exfoliator and sheet mask, it is a astonishing skin lightening combination. GET DISCOUNTS ON THIS KIEHL’S SERUM HERE! Gold particles infused night cream from Ponds paired with Pond Gold Radiance serum, is a worthy trying product. Regular usage, exfoliates the upper dead layer to reveal new, younger skin while you take your regular beauty nap. It even works in lightening the dark spots and patches, so that you could flaunt a luminous glow. read review here. BUY PONDS NIGHT CREAM – CLICK HERE. With new generation Melanin- Block formula coupled with Vitamin C, controls melanin production to give you visibly clearer skin. Regular usage will gently peel off dead layer, to give you picture perfect look and visibly fair skin. Read review. 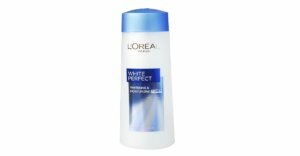 BUY LOREAL WHITE PERFECT SERIES HERE! Here’s the best daytime lotion you can include in your skincare regime. Its good to go with all skin types, accentuates the exfoliation rate, keep you well hydrated throughout the day without making it greasy or over done. Control melanin production, protects from sun with SPF 24, and Use it to control oil, diminish patches, and correct dark spots working towards your skin lightening goal and replenishing the lost complexion..
BUY OLAY WHITE RADIANCE DAY MOISTURIZER HERE! Created with actives like- Melanyde- depigmenting active, Retinaldehyde- a lightening active, and a natural retinoid ( form of Vitamin A) and Avene Thermal Spring Water. The formula have incredible effect on reducing dark spots, and pigmentation , making you a shade or two fairer. 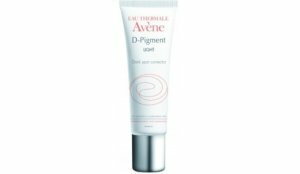 SHOP AVENE EAU D-PIGMENT LIGHT HERE! The face wash is powered by pure lemon extracts paired with various mild exfoliating agents- it helps in removing upper dead layer revealing fairer, younger looking skin. It even works towards diminishing the stubborn tan and regulating oil production. we have people swearing by its skin lightening effects and oil control measure, So a must try in product ! 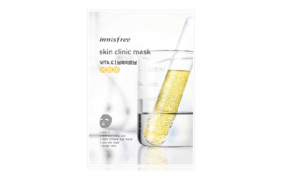 These sheet masks by Innisfree are all you need for instant brighter skin. Made with Vitamin C derivatives, it brightens up complexion and adorns a naturally clear, healthy skin. Made with fine cotton – these trending sheet masks are new gen- beauty secrets, easy to use, fast acting and skin friendly. SHOP THESE INCREDIBLE SHEET MASKS IN BUNCH HERE! 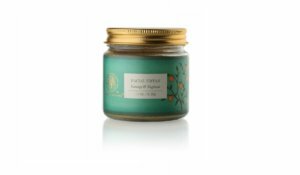 This unique blend of oils and rare herbs is formulated to provide an inner glow over a period. This 100% Ayurvedic elixir is made with rare saffron,licorice, maddar, vetiver and other precious herb to illuminate skin, lighten up pigmentation, dark eye circles, wipe out blemishes and give you youthful radiant glow. 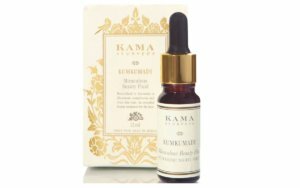 Ayurvedic formulations do take a bit longer to show results but they work from deeper epithelial cell and so it may take 20 days to one month to show results but i promise you would love the skin lightening & brightening effect of this oil in serum by Kama. BUY KAMA AYURVEDA SERUM HERE! This Korean beauty secret made with goodness of rice water subtly works as cleansing water plus an instant brightening toner. The product claims to eliminates even the most stubborn makeup residue and leaves skin soft to the touch and helps in skin lightening. Its powerful, moisturizing formula and its milky texture are suitable for all skin types. BUY TFS RICE WATER HERE! With all these never never forget to step out without a good sunscreen as sun exposure is major culprit to give you, pigmented skin, dark spots, sun tan- worse case sun burn. Along with that almost all skin lightening products have activated Vit-C, or other ingredients that makes skin more susceptible to burn. 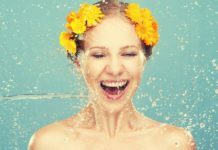 So layer up a good sunscreen protection with these best dermatologicaly tested and trusted sunscreens.